Tomeis exhaust headers are designed to maximize power and torque throughout the entire RPM range. 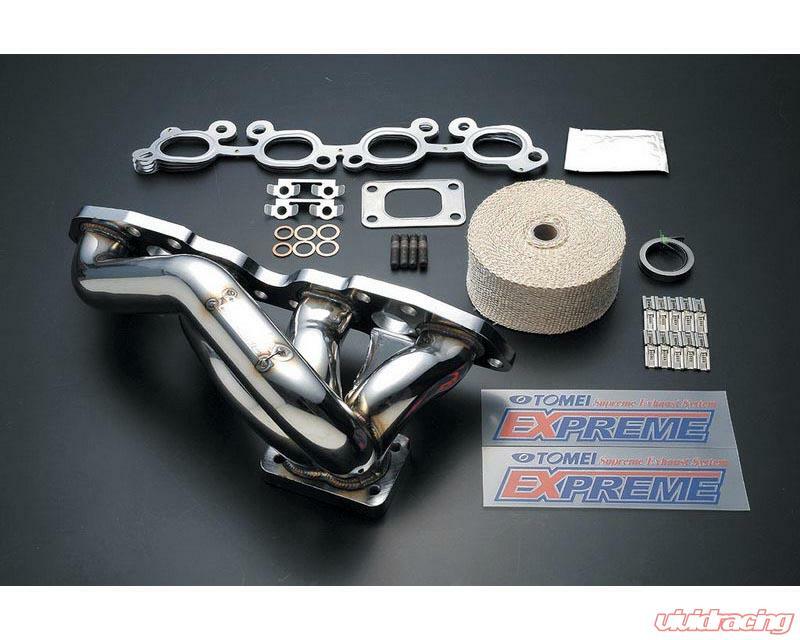 To do this Tomei underwent extensive testing, trial, and error experimenting with various pipe sizes and combinations to find the best possible increase in performance and efficiency. Tomei's 2 separate dyno rooms dedicated to their own research and development of performance products. In their testing facility they log all data for further analyzing and push the engine to its limit to test reliability. Tomei works to increase exhaust flow by using larger piping and smoothing bends in the system giving you a faster throttle response. Because Tomei designs their components to be as efficient as possible and manufactures them using SUS304 Stainles Steel, Tomeis exhaust components are lighter than the factory parts they replace, many of which are made from cast iron. SUS304 Stainless steel is also more durable and resistant to corrosion.